Questionable-looking covers. Offensive content. Potentially triggering language. DOOM AND GLOOM. As a new Christian, the overwhelm in choosing a Christian book to read is tres real. After 12 months of collecting recommendations (and having jotted them down in all sorts of random locations), it was time to bring them all together. 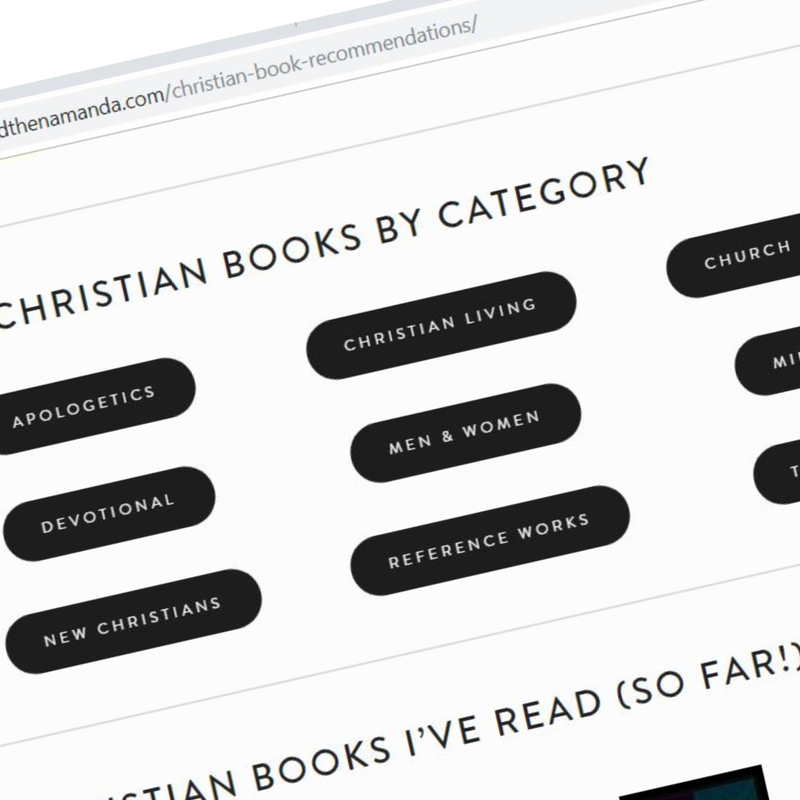 I’ve created a page called Christian book recommendations with a focus on solid Christian books for the new Christian. It’s ever expanding so do keep checking back if you’re looking for more books. I’ve also included books I’ve read and books in my to-read pile so we can chat! PS I’m using goodreads to manage this list and its categories. It’s worth a squiz if using an app to manage your books is your thing. No affiliation: it’s just too good a tool not to share with you.